Still Need Help? Please contact the Office of the Registrar. 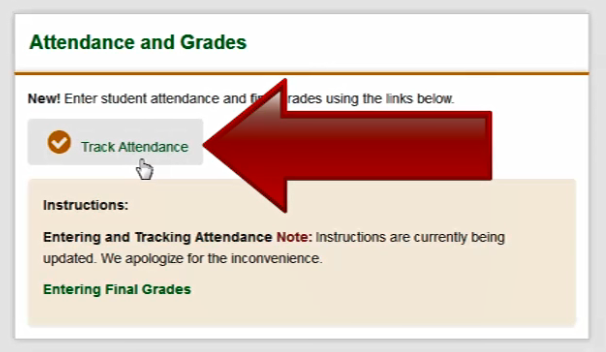 Click on Track Attendance from the Attendance and Grades module on the myWilmU Faculty Home page. The sections that are assigned to you as an instructor will appear. Click the date on the header row where you'd like to update attendance. If the date you wish to enter attendance is not displayed, use the arrow buttons or type the date in the calendar box. Only dates that the section is scheduled to meet will be available. If you do not meet on the scheduled meeting date, please use the scheduled date to record attendance. Please note: The date must be displayed in the far right column in order to enter attendance. To mark a student present, click in the circle once. 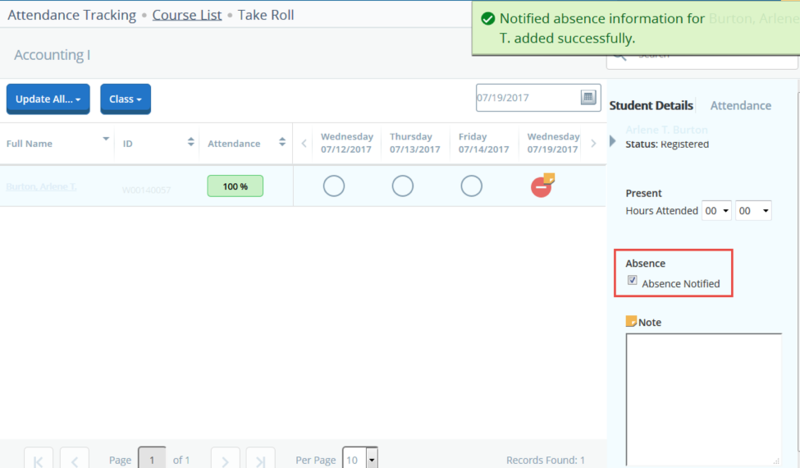 For face-to-face courses, the "Hours Attended" box on the right menu will automatically populate for the length of the scheduled class meeting time. You don’t need to update this. To mark a student absent, click in the circle twice. 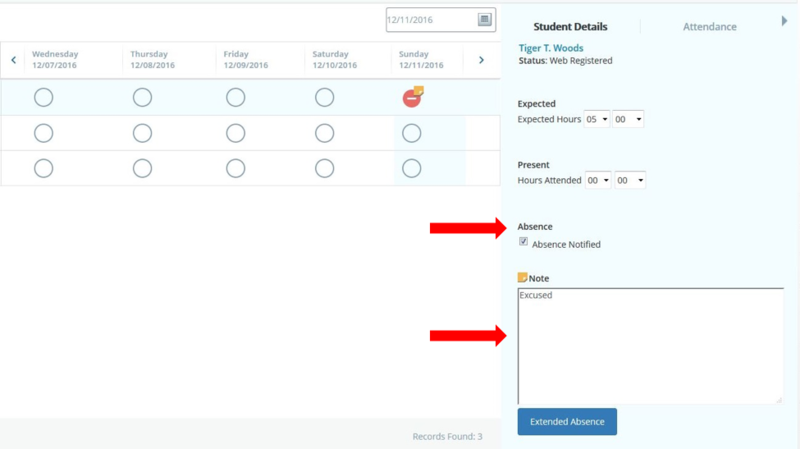 To mark a student as absence excused, check the absence notified box on the right hand side. A comment box will appear where optional notes can be entered. The attendance will automatically save. Note: To remove a present/absent attendance entrance, click on the circle where you’ve entered attendance to cycle the entry to blank. Click the on the header row where you›d like to update attendance. For Online Courses, you’ll be presented with columns for every day of the block/semester. You should only enter attendance weekly on Sundays to indicate attendance for the previous week. If the date you wish to enter attendance is not displayed, use the arrow buttons or type the date in the calendar box. You can wait until the end of the online week to determine student activity before entering attendance. Please note: The date must be displayed in the far right column in order to enter attendance. To mark a student present, click in the row of the student you would to mark present to select the student. Then, under the "Present - Hours Attended" box on the right menu, use the dropdown to set the hours and minutes for the course. For block courses, set the hours column to "05" and the minutes column to "00". For semester courses, set the hours column to "02" and the minutes column to "30". To mark a student absent, click in the circle a second time to switch the check icon to a dash icon.